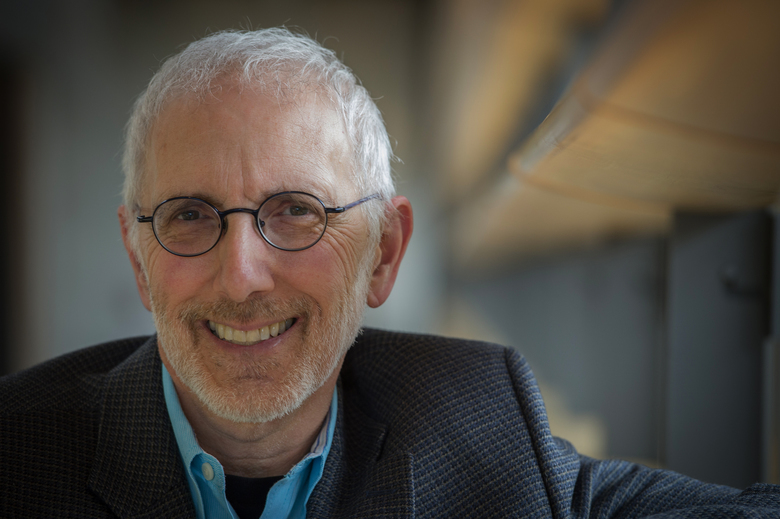 At 7:30pm on Thursday February 18, Eagle Harbor Books welcomes Nick Licata, who was elected to Seattle City Council five times, and served 18 years through December 2015. 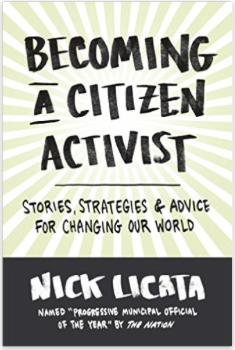 Nick will present stories and anecdotes from his new book: “Becoming a Citizen Activist: Stories, Strategies, and Advice for Changing Our World.” The book is full of details of major citizen-initiated changes over five decades. Nick Licata was a political activist as long ago as the 1960s, and his very readable book offers examples of activism over the decades from the student anti-war protests of the 1960s to the present day. Examples of sections of his book include: The Minimum Wage Story; Women Reshape Local Government; Out of the Closet; Immigrant Rights; Passing Paid Sick Leave; Tracking Hate Crimes; Legalizing Marijuana; and Community Land Trusts: Housing Is Not a Commodity. 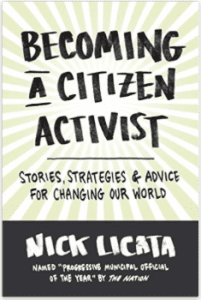 In this podcast, BCB asks Nick, after 18 years as an elected official in City Hall, how he kept a positive attitude toward citizen action, and an open mind, leading to a book chapter titled: “You Can Fight City Hall”.